Daniel Engber of Slate.com published an interesting article about exercise and addiction. I found it fascinating how he looks at both human and animal studies over time to determine if exercise lessens the cravings for drugs because it is a distraction, a stress reliever, or perhaps due to the fact that exercise is a replacement since it stimulates the brain in similar ways. Rats who were allowed to exercise before given access to drugs ended up taking less drugs. Lewis rats are most inclined to addiction, and also most inclined to habitual exercise, going as much as six miles per day. They can even be trained to do things if the reward is exercise time, rather than food (sounds like our household!). 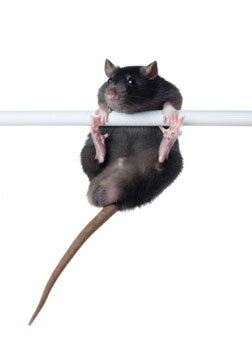 A 1967 study showed that when limited a rat's access to food, while simultaneously given them the option to exercise, led to some of them becoming exorexic, and killing themselves with exercise. Some scientists refer to the combination of undereating and overtraining in women (composed of disordered nutrition, amenorrhea, and osteoporosis) ironically as FAT - the Female Athlete Triad. Yeah, I run for the drugs--endorphins! Ha. I have adhd and run to keep it under control. This was the option to taking an amphetamine based drug to help stimulate my mind. Running definitely is addictive, but the good outweighs the bad. I think if a person does exercise a lot. he will get addictive of that. it is become the habit of that person. I know that I am definitely addicted to exercise. It becomes a habit of mine and if I stop exercising I feel that I may never do it again.